Ever Wonder Why The Same Patterns Happen To You Over And Over Again? addiction specialist, co-founder of Pavillon Gilles Desjardins, and co-creator of the Desjardins Unified Model of Treatment of Addictions, sets forth in The Imprint Journey an exploration of imprints, how they govern our lives, and how we can reprogram our minds to function in new and fulfilling ways. The Imprint Journey is equivalent to reading two powerful books in one. Liliane spends the first section telling her own story--a childhood in war-torn Croatia, the death of her mother, being an immigrant first to France and later French Canada--and the addictions and dysfunctions that marred her life until a suicide attempt resulted in a near-death experience. Her own personal recovery led her on a mission to help others find their own freedom from self-imposed and self-limiting imprints. again and again as a guide to relieve fears and to discover powerful truths about themselves that will transform them into their authentic selves. "Liliane writes from the depth of her own experience, with passion and power and a keen understanding of the human psyche. Her insights lift the reader above their own past patterns, providing insight both comforting and striking. The book inspires hope that no matter what we've been through, fundamental change is possible." 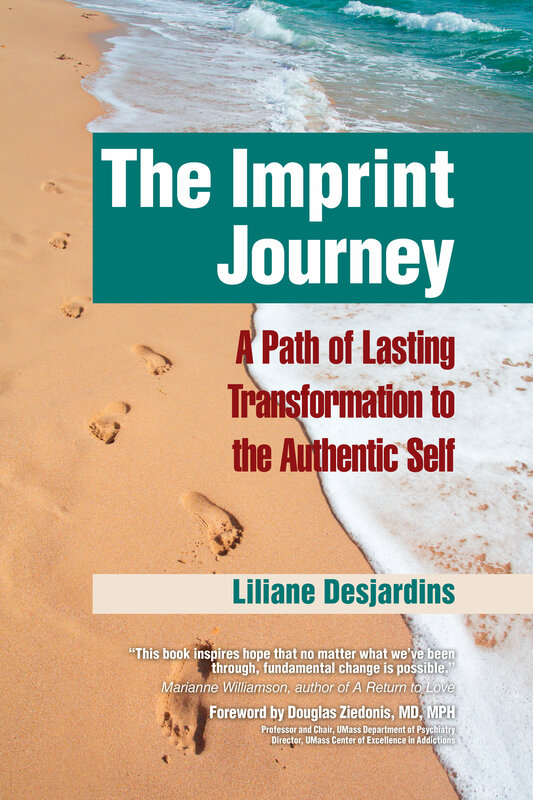 "The Imprint Journey will touch your very soul and make way for profound transformation. From personal story to practical steps, Liliane walks with her readers on the path of awakening. Your life will be changed."